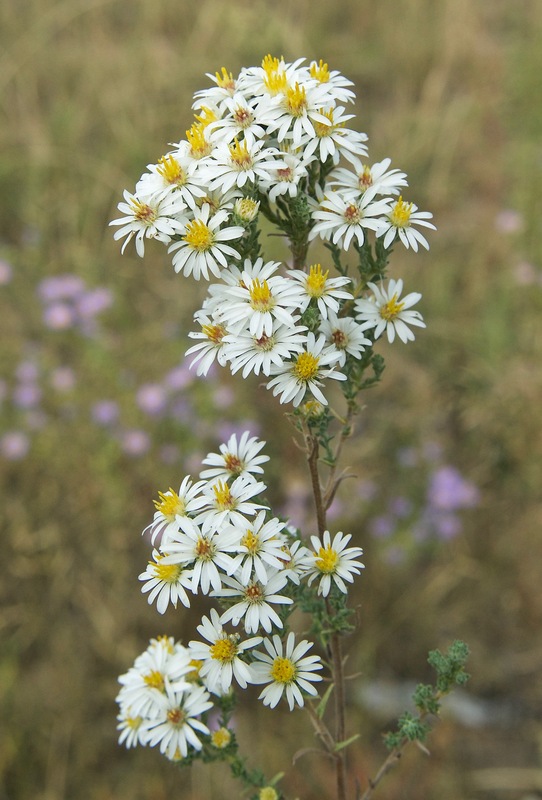 White Prairie Aster (Symphyotrichum falactum)? 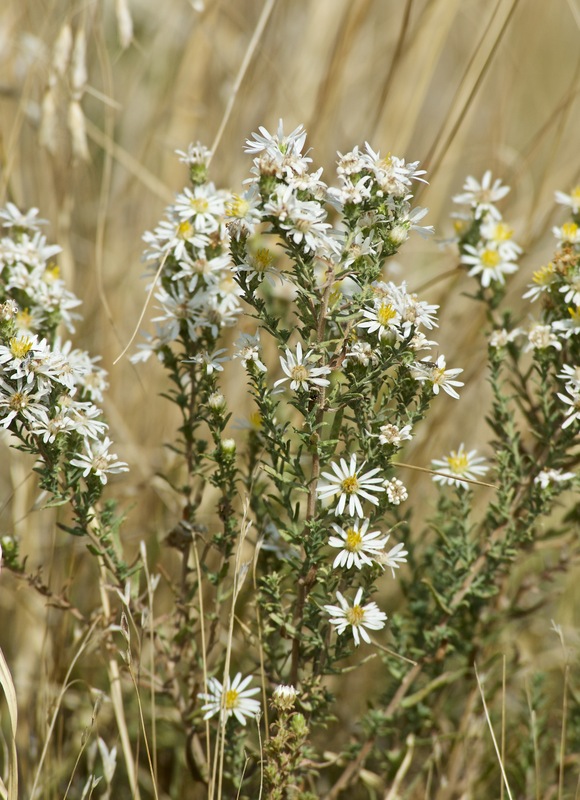 Plants Plants on the Prairie – White and Yellow White Prairie Aster (Symphyotrichum falactum)? I have a question mark after this plant name. I’m not totally confident in the botanic name, but if wrong, it’s close. (You can’t be far wrong calling any aster in this area either “sand” or “prairie.”) This is fairly common in September but not as showy as other asters, such as the Heath Aster. In my immediate area it grows along side the pinkish-purple Hoary Tansyaster, also shown on this site.